Assisted Living vs. Long-Term Care Homes: Which Is Best For You? As we age, it is natural for our health to decline. Whether the result of injury, illness, or surgery, many elderly people find themselves in a position where a temporary or permanent condition has left them in need of help with health and personal care. In cases where home care is not feasible, there are residential options to consider, such as assisted living or long-term care homes. These communities will not only be able to offer a non-hospital, community environment but they can also still provide the care you need. When deciding between an assisted living residence and a long-term care home in Toronto, it is important to know which one meets your needs the most. Assisted Living Residences: These provide housing and personal support services that can help you meet needs related to daily activity. Most assisted living residences provide apartment-like homes, meals, housekeeping, laundry, health and exercise programs, and recreational activities. Should it be required, assistance with bathing, dressing, eating, walking, medication, and using the bathroom can be provided. 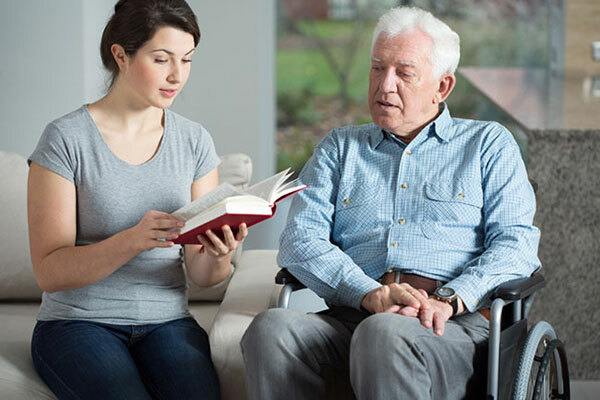 Generally speaking, assisted living residences are more for the elderly who need assistance with certain activities but do not suffer from conditions requiring continual medical care and attention. Long-Term Care Homes: The most immediate difference between the two types is that long-term care homes provide 24-hour care by nursing staff. This means that daily assistance and rehabilitation therapies can be provided as well as ongoing care for medical needs. Those who are bed-bound, use a respirator, have wounds that need dressings changed, require an IV, or otherwise call for regular medical attention would be better served in these locations. The decision as to whether you will be better off in an assisted living residence or a long-term care home is going to depend on your individual health conditions and treatment needs, if any. Physical Needs: Assisted living residences assume residents are largely autonomous and can take care of themselves. Nurses and health care Aides are present but aren't usually able to offer complex medical care and may not always available for 24-hour assistance, although most times nurses are on call. If you can take care of yourself but may need help with a few specific activities, an assisted living residence may be better for you. On the other hand, if you are bedridden and need more constant care or supervision, a long-term care home will be in your best interest. Medical Needs: Long-term homes are best suited for taking care of medical needs - anything that requires more complicated equipment, narcotics, or procedures. If in doubt, ask admission staff at the assisted living residence if they can meet your needs. Alzheimer’s and Dementia: While some assisted living residences can take care of Alzheimer's patients, including advanced cases of Alzheimer's and dementia, Parkinson's, and other conditions, and in fact specialize in this type of car, most do not have the secure environments to be able to do so. That being said, less severe conditions like depression may be handled at an assisted living residence alone, especially since these can offer more of a self-empowering environment and encourage social activity. Costs: Most long-term care homes have prices that are fixed by government regulation. On average, a long term care home will charge roughly $56, $66, or $80 per day for ward, semiprivate, or private accommodations respectively. Assisted living residences are more likely to be privately run and their prices will vary based on the community in question. Generally speaking, however, assisted living locations offer more customizable pricing plans. Availability: Access to long term care is controlled by the health region. Due to the growing elderly population in Canada, and limited development of new funded beds, there is currently more demand for long-term care than there are beds. It isn’t uncommon for seniors to reside in an assisted living residence while on a waitlist for a long-term care home. In most instances those with high and immediate needs will be considered for priority placements in long-term care homes. Since 1996, TheCareGuide.com has been an online repository of information and guidance source for seniors and their families. We provide insights into elder care and housing solutions covering the full spectrum of choice from staying at home with Home Care or Community Support to Retirement Homes that provide Independent to Independent Supportive Living, Assisted Living, Memory Care, Long-Term Care, and Hospice and Palliative Care. More information and advice on senior living solutions can be found by contacting us at 1-800-311-CARE (2273) or info@thecareguide.com.